Art and culture are very important values here at Montemaggio. For this reason, we try and transmit the culture of our territory by organizing painting classes on ceramics or textile, such as linen and silk, with the wine as a central theme. You will be guided into a creativity process lead by a local artist that will help you to create a personal and original work. You are free to paint whatever you like, an object or some landscape elements that surround Montemaggio area such as the sinuous and gentle hills of Chianti Classico, the magnificent trees and indigenous plants and vineyards, the silent and ancient woods or our enchanting garden, whatever inspires you! In the Chianti Classico region, the art has always found a fertile ground. Numerous artist stopped by here in different periods of the history during their travel from Florence to Siena and vice versa up to Rome and nowadays as well there are several artists that are based here. You can admire incredible art masterpieces of some important artists such as Lippo di Benivieni, Jacopo del Casentino, Francesco Fiorentino, Michele Gordigian, Lorenzo di Bicci, Filippo Lippi, Masaccio, Ambrogio Lorenzetti, Neri di Bicci in the local museums, churches and exhibitions that are not too far from Fattoria di Montemaggio. For those who are interested in buying local products and items of excellent handicraft and unique artistic value made by the most talented local artists, we will suggest you some local crafts shops and laboratories where to nose around. * Price on request, for groups of 5+, not available during the weekends and festivities. 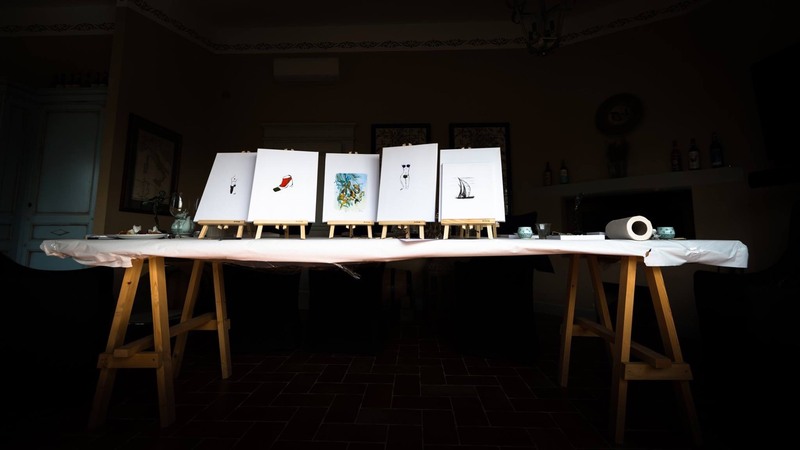 To book a visit with a painting course and a wine tasting experience, fill in the form below.